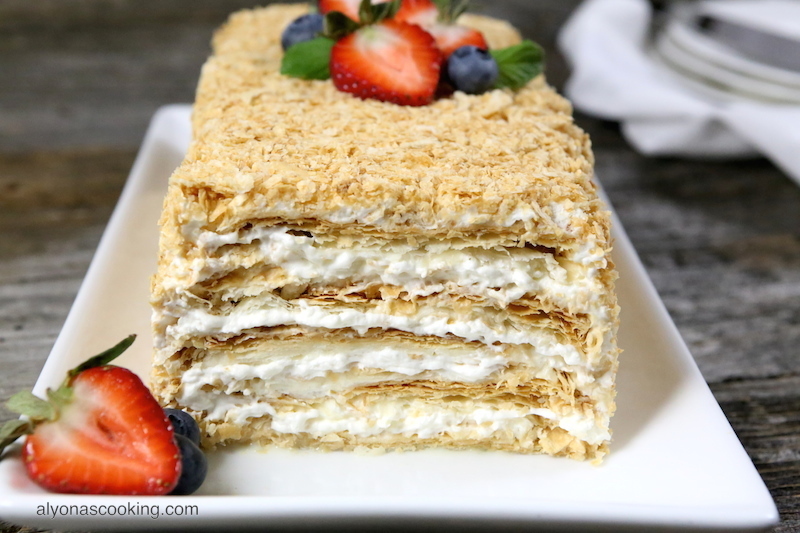 Puff pastry sheets are soaked and then covered in a delicious cream frosting and topped with puff pastry crumbs creating one easy, yet superior tasting cake. 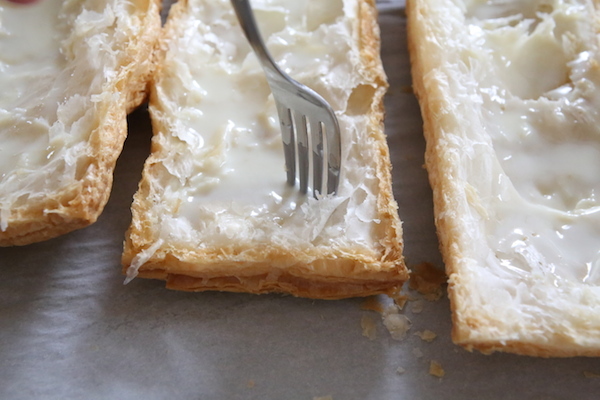 Slicing a puff pastry cake is much easier now with these two little sized rectangle cakes. 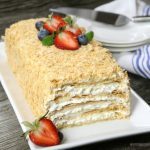 The syrup used for soaking this cake not only boosts up the flavor but is a great way to use up that condensed milk (which is left over after using some for the frosting) and it happens to be a great way to make the cake sit still on a serving plate without sliding. 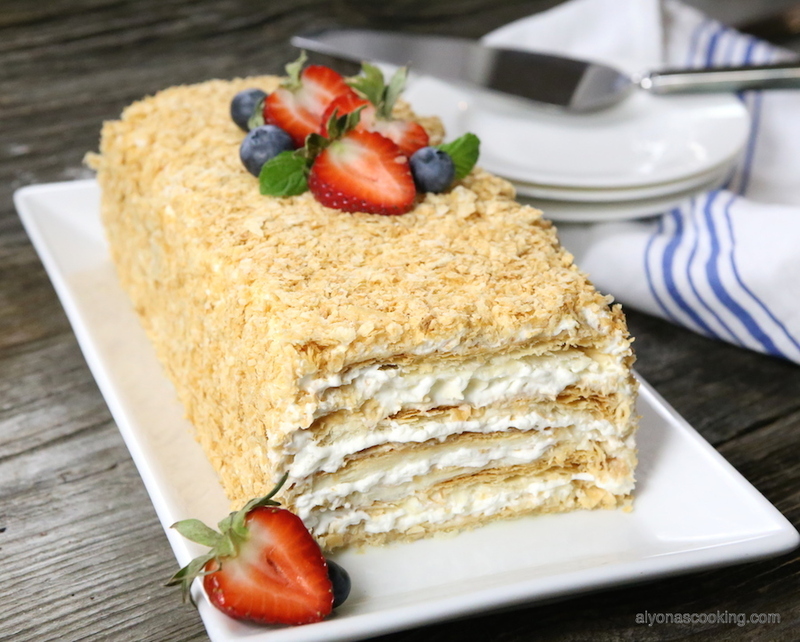 I was inspired to recreate this particular cake from a cafe that served these impressive cute little desserts and I must say it shouldn’t turn you down because it’s truly an easy and yet delicious dessert that even my toddlers happened to like. Preheat oven to 375 degrees F. Line baking sheets with parchment paper and set aside. 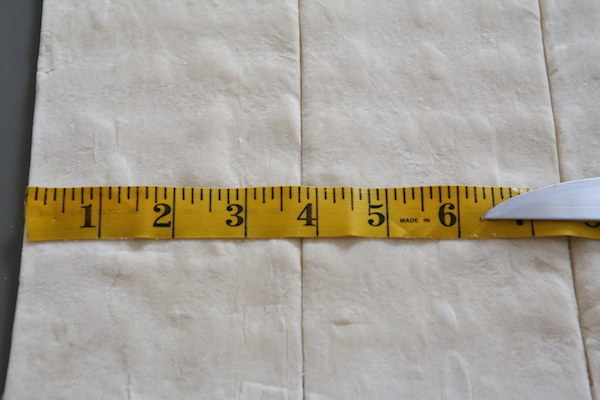 Roll each pastry sheet into a 15 by 10-inch rectangle. Cut each sheet into four equal pieces with each section measuring 3.75″ wide. You should end up with 8 pieces of pastries from both sheets. 3. 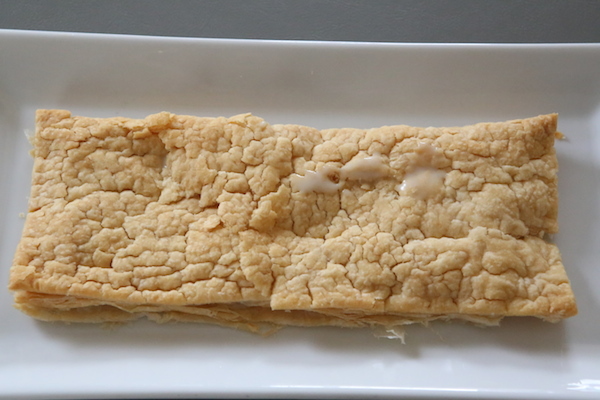 Place pieces of pastry 2″ apart onto the prepared baking sheets and bake for 35-40 minutes or until golden brown. Cool completely before frosting. 6. Slice the 6 pieces in half lengthwise and soak each half with 2 tbsp of the syrup.Then pierce each piece with a fork for syrup to soak in better. Set aside. 7. 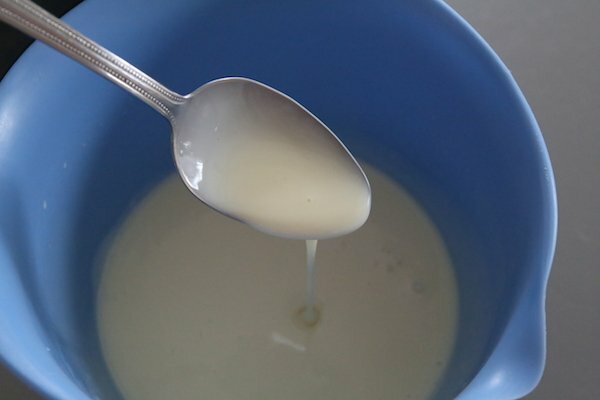 Beat the heavy cream until soft peaks form. 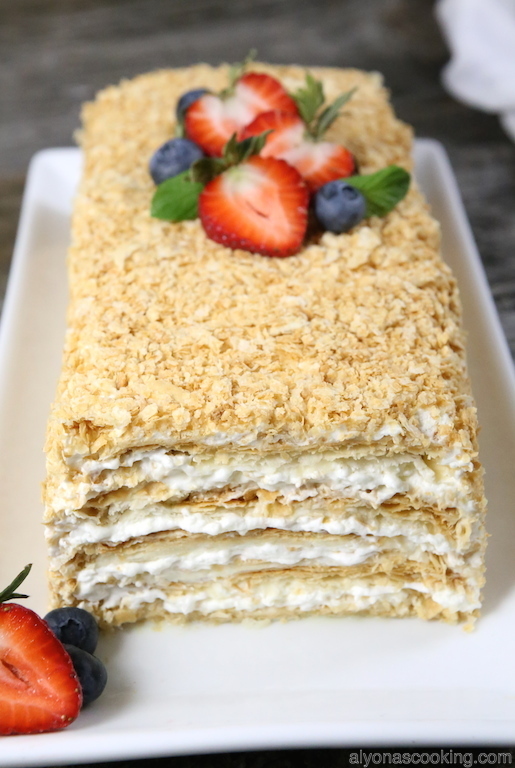 Then add 4 tbsp of condensed milk, 4 tbsp cream cheese, 2 tbsp sour cream and 1 pkg of cool whip; beat until creamy and thick. 8. Invert a soaked piece onto a serving plate facing downwards (syrup side down) and frost generously with frosting leaving a little border. 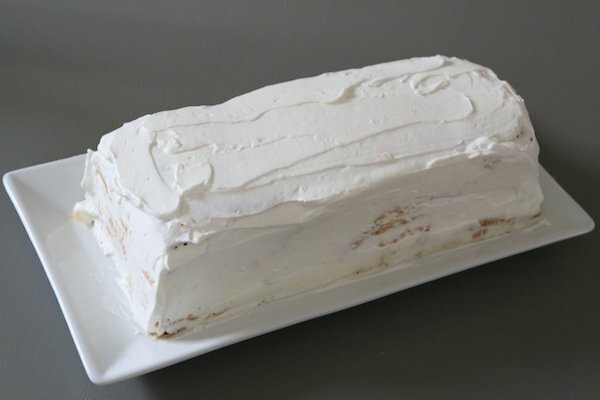 Continue to stack and frost lightly crushing cake down between frosting ending with 6 layers in total. Clean up sides; then frost the sides and top. 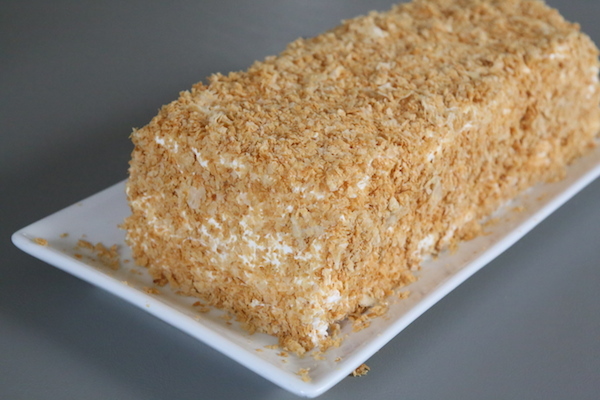 Sprinkle with crushed crumbs and refrigerate at least 4 hours. Repeat like wise with remainder pieces. Recipe makes 2 cakes. 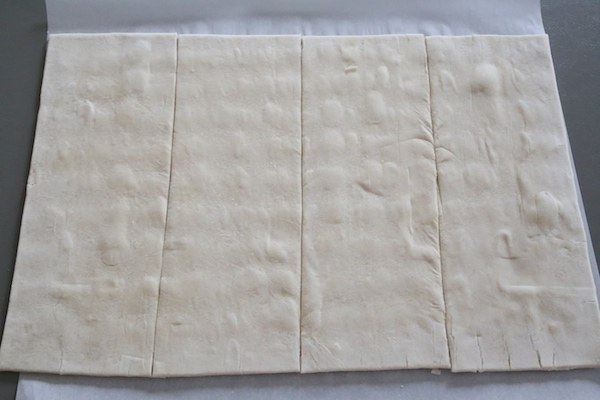 Roll each pastry sheet into a 15 by 10-inch rectangle. Cut each sheet into four equal pieces with each section measuring 3.75" wide. You should end up with 8 pieces of pastries from both sheets. 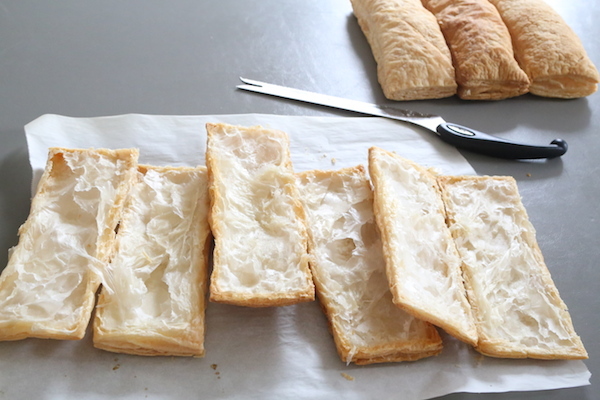 Place pieces of pastry 2" apart onto the prepared baking sheets and bake for 35-40 minutes or until golden brown. Cool completely before frosting. Slice the 6 pieces in half lengthwise and soak each half with 2 tbsp of the syrup.Then pierce each piece with a fork for syrup to soak in better. Set aside. 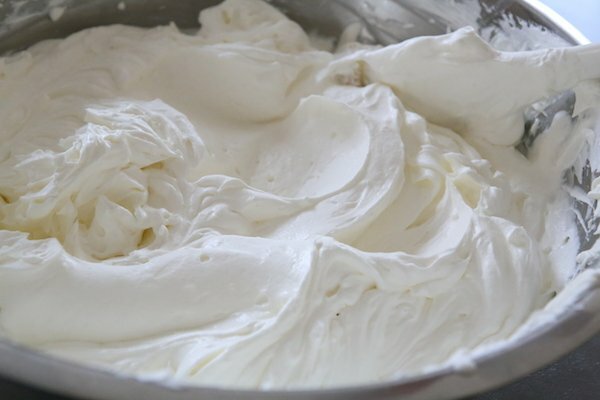 TO MAKE FROSTING: Beat the heavy cream until soft peaks form. 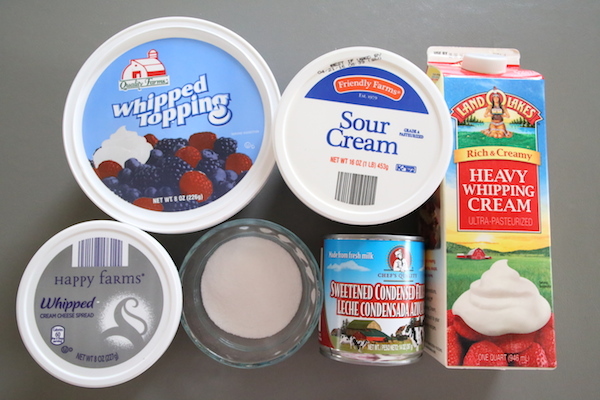 Then add 4 tbsp of condensed milk, 4 tbsp cream cheese, 2 tbsp sour cream and 1 pkg of cool whip; beat until creamy and thick. ASSEMBLING CAKE: Invert a soaked piece onto a serving plate facing downwards (syrup side down) and frost generously with frosting leaving a little border. 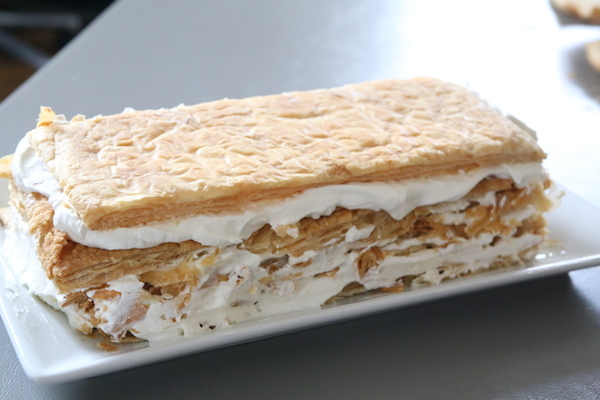 Continue to stack and frost lightly crushing cake down between frosting ending with 6 layers in total. Clean up sides; then frost the sides and top. 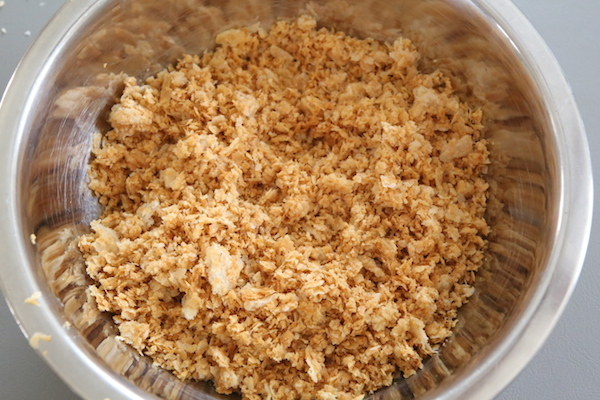 Sprinkle with crushed crumbs and refrigerate at least 4 hours. Repeat like wise with remainder pieces. Recipe makes 2 cakes. I love this cake! Yum!